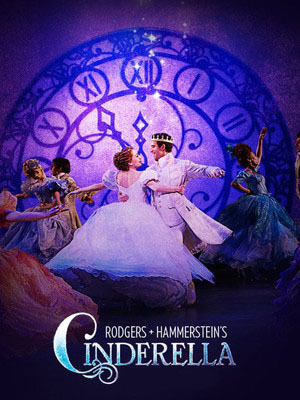 Producers of the Tony® Award winning musical Rodgers + Hammerstein's CINDERELLA, Robyn Goodman, Jill Furman and Stephen Kocis, have announced additional casting for the First National Tour launching in Providence, RI at PPAC on October 10, 2014. The touring production will be presented by Dallas Summer Musicals at the Music Hall at Fair Park June 9-21, moving the next week to be presented by Performing Arts Fort Worth at Bass Hall June 23-28. Ready to sweep Cinderella off her feet, Andy Jones will play the role of Prince Topher. Andy was a member of the original Broadway company of Rodgers + Hammerstein's CINDERELLA and understudied the role of Prince Topher. He currently appears in Bullets Over BroadwayThe Musical. Rounding out the ensemble are Adrien Arrieta, Adrian Badoo, Summer Broyhill, Audrey Cardwell, Jennifer Evans, Alexandra Frohlinger, Richard Gatta, Jordana Grolnick, Eric Anthony Johnson, Danielle Jordan, Bruce Landry, Ben Lanham, Stephanie Jae Park, Blakely Slaybough, Paige Williams, Thad Turner Wilson, John Yi and Alexandra Zorn. Rodgers + Hammerstein's CINDERELLA has music by Richard Rodgers, lyrics by Oscar Hammerstein II, a new book by Douglas Carter Beane and original book by Oscar Hammerstein II. The musical is directed by Mark Brokaw and choreographed by Josh Rhodes. Music adaptation, supervision and arrangements are by David Chase and orchestrations are by Danny Troob. One of Rodgers + Hammerstein's most popular titles, Rodgers + Hammerstein's CINDERELLA was written for television -- debuting in 1957 starring Julie Andrews. In 2013, the show made its long-overdue Broadway debut. Along with CINDERELLA, Richard Rodgers and Oscar Hammerstein's legendary musicals include OKLAHOMA!, Carousel, The King and I, South Pacific and The Sound of Music. Mr. Beane's book for Rodgers + Hammerstein's CINDERELLA blends masterfully with the musical's cherished score with songs including "In My Own Little Corner," "Impossible/It's Possible," "Ten Minutes Ago" and "Do I Love You Because You're Beautiful?"